Last week, the well-known claimant occupational disease firm, Roberts Jackson, went into administration. In this article, we report on the rise and fall of Roberts Jackson and provide information about AWH Legal, the alternative business structure (ABS) which bought the claimant firm out of administration. Roberts Jackson was incorporated in 2009 and specialised in claimant occupational disease claims, particularly NIHL claims. Karen and Oliver Jackson were the founding members. Karen had previously been a partner at BLM, specialising in disease claims. Financial statements, filed for December 2013 and December 2014, showed the firm’s annual turnover growing from £7.3 million to £11.6 million. 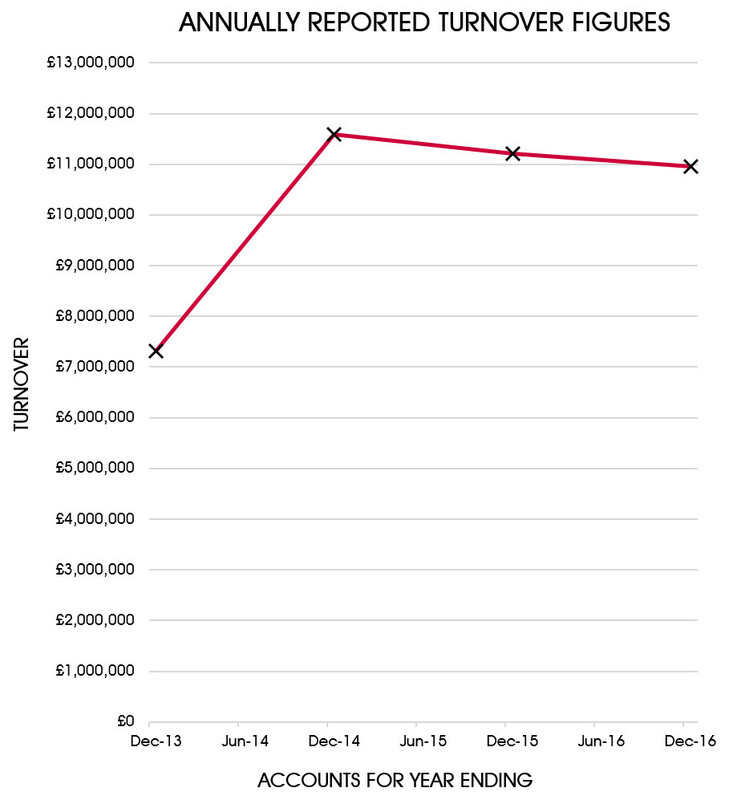 This was the firm’s peak turnover and thereafter, over 2 years, there was a small decline to £10.9 million in the year ending 31 December 2016. The firm’s revenue growth was also reflected in the size of its workforce, increasing from 116 employees (2013) to 217 employees, in 2015. However, its staff numbers reduced in the subsequent year, to 190. None of this was unexpected, given the decline in NIHL claims across the disease market, generally, over the same time. 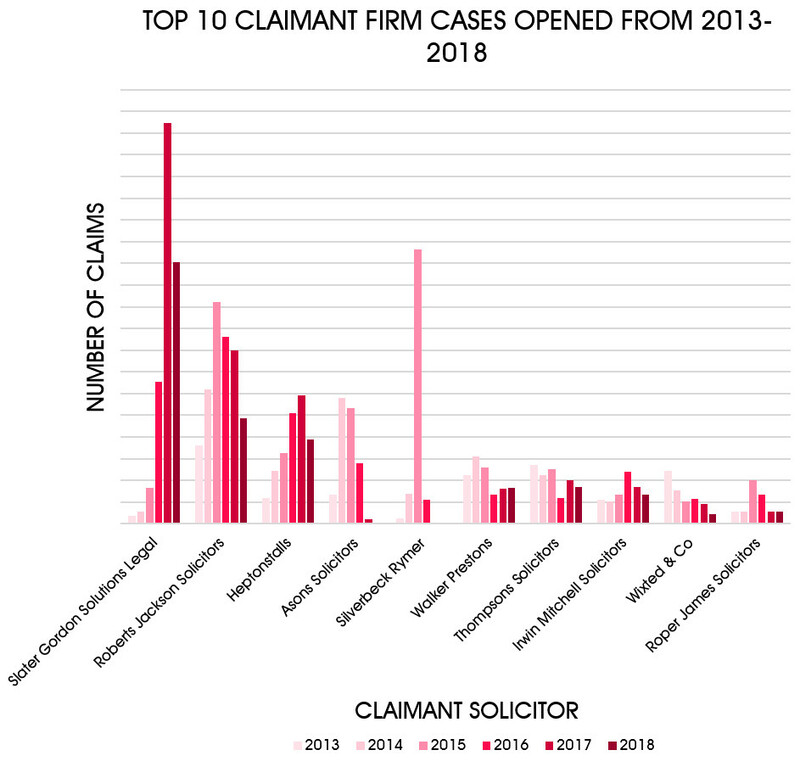 The figure below shows the top 10 claimant firms within the NIHL market, between 2013 and 2018. [i] All firms have seen declining volumes over time, but Roberts Jackson was always a major player. To many, it was viewed as the leading claimant NIHL firm within the market. In July 2014, Roberts Jackson received a £15 million private equity investment from NorthEdge Capital, signalling clear ambition to grow the business. Grant Berry and Jon Pickering, managing partner and director at NorthEdge, joined the Roberts Jackson board as non-executive directors as part of the deal. ‘This is a very exciting time for the business and we are delighted to welcome NorthEdge on board as an investor. The introduction of Alternative Business Structures through The Legal Services Act 2007 has created interesting opportunities for firms like ours. The investment from NorthEdge will allow us to accelerate the growth of the business, capitalise on new opportunities within the market and hopefully provide many more clients with the very best advice’. In edition 227 of BC Disease News (here), we reported that Rachael Charmbury, formerly of Squire Patton Boggs, had replaced Karen Jackson as CEO of Roberts Jackson, in April 2018. It was said that Karen Jackson would continue to work with the business in a consultancy capacity. [xiii] Oliver Jackson also resigned. At the same time, it was announced that £750,000 would be invested in a ‘market leading [technological] platform’, with the intention of the firm expanding its occupational disease services. In edition 169 of BC Disease News (here), we reported that the assets of personal injury firm, Carter Law, had been purchased by AWH Legal from the liquidators, for a figure totalling £3 million. Managing Director, Abdul Hussain, describes himself as an ‘Entrepreneur and Investor’ on his LinkedIn account, with aspirations for AWH to grow significantly within the personal injury market. The NIHL market has proved to be difficult for many claimant firms to succeed in, given their low success rate in claims and the inevitable cashflow difficulties in funding large volumes of claims. It will be interesting to see whether AWH proves to be a genuine new player within this market which can buck the trend and make a financial success of its investment in Roberts Jackson. [i] Based on NIHL claims volumes handled by BC Legal. [iii] <http://www.britishlegalawards.com/static/2012-finalists> accessed 2 October 2018. [iv] <https://web.archive.org/web/20130815203554/http://www.claimsinnovationawards.co.uk/shortlist.php> accessed 2 October 2018. [v] <https://web.archive.org/web/20140605052443/http://www.claimsinnovationawards.co.uk/2013-winners-gallery/> accessed 2 October 2018. [vi] <http://www.manchestereveningnews.co.uk/professionals/pictures---manchester-legal-awards-8785750/> accessed 2 October 2018. [vii] <http://www.thelawyerawards.com/shortlist> accessed 2 October 2018. [viii] <https://www.thelawyer.com/issues/lawyer-awards-winner-case-studies/boutique-law-firm-of-the-year-2016-roberts-jackson/> accessed 2 October 2018. [ix] <http://www.necbawards.co.uk/necba-winners-2016/> accessed 2 October 2018. [x] <https://www.manchestereveningnews.co.uk/business/business-news/gallery/manchester-legal-awards-2017-12686176> accessed 2 October 2018. [xi] <http://www.claimsmag.co.uk/2017/06/top-claims-operators-pick-accolades-claims-management-awards/8902> accessed 2 October 2018. [xii] Neil Rose, ‘PE-backed personal injury firm sold out of administration’ (1 October 2018 Legal Futures) <https://www.legalfutures.co.uk/latest-news/pe-backed-personal-injury-firm-sold-out-of-administration> accessed 2 October 2018. [xiv] <https://www.robertsjackson.co.uk/> accessed 2 October 2018. [xv] <https://www.awhlegal.co.uk/> accessed 2 October 2018. [xvi] <https://www.quantuma.com/news/roberts-jackson/> accessed 2 October 2018. [xvii] <https://awhsolicitors.co.uk/> accessed 2 October 2018.